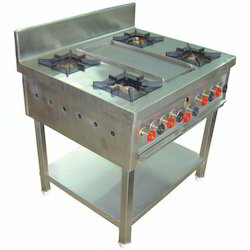 Our range of products include commercial three gas burner, four burner, two burner, chinese 3 burner range - gas stove, barbecue counter (griller) and barbecue counter. 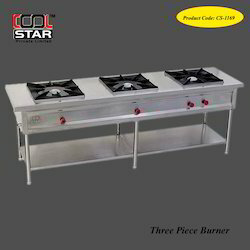 Cool Star offer Commercial Three Gas Burner Range which is designed intricately using quality approved raw material. Our elegant Three Burner Cooking Range are diversely used in hotels clubs and restaurant for preparing different types of cuisines swiftly.We also fabricate single, double, four gas burner ranges along with chinese range and continental one as per customer requirements. 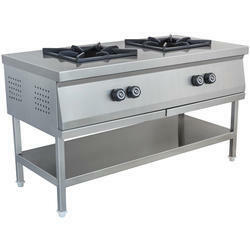 We are one of the leading manufacturers and suppliers of optimum quality Four Burner. Owing to their optimum energy efficiency, these burners are highly demanded in the market. The team of quality controllers keeps strict vigil over entire manufacturing process to ensure a defect-free range. Offered burner is competitively priced. 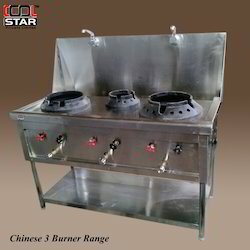 We are among prominent manufacturers and suppliers of optimum quality Two Burner. 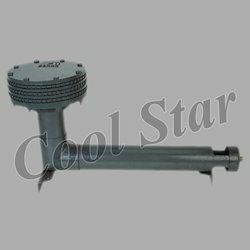 The offered burners are precisely manufactured from optimum quality stainless steel, which is procured from well-known and trusted vendors. These burners are ideal for all kinds of cooking applications. Customers can avail these burners at reasonable prices. We are a company which is counted in the industry for the Manufacturing and Supplying of best grade Chinese 3 Burner Range - Gas Stove. Our offered range of product is highly useful and manufactured under the administration of a trained and experienced workforce. We are foremore manufacturer, trader and supplier of supreme quality Barbecue Counter (Griller). The offered product is manufactured with the help of supreme quality components and advanced technology under the guidance of skilled professionals. It is widely used in numbers of hotels and restaurants. Our entire range of product is widely appreciated by our clients due to its robustness and optimum quality. 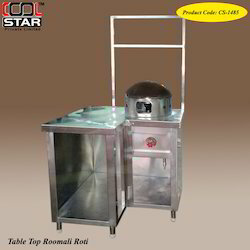 We are one of the trusted names in the industry that offers Hot Plate (Dosa Tava) that is manufactured in accordance with the preset industry standards. These hot plates are widely demanded in restaurants, hotels for their robust construction, ease of maintenance and ease of use. 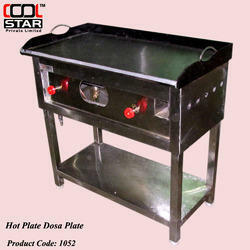 These dosa tavas are massively popular for their corrosion resistance and low power consumption. We are the leading manufacturer and supplier of High Capacity Ring Burners. These products consists of two rings and are manufactured of qualitative mild steel. Our quality controllers test these burners at stern parameters to offer good quality product at client's end.